Will This Holiday Weekend be the Deadliest Ever? The American Automobile Association projects that more than 42 million Americans will travel this Independence Day weekend, five million more than on Memorial Day weekend. More travelers on the road mean an increased risk for a crash. Unfortunately, 25 years of National Highway Traffic Safety Administration data show that impaired driving leads to nearly half of all deadly crashes on July 4th. Every year, we celebrate Independence Day with family and friends, watching fireworks and eating at barbeques. And, every year during this time of celebration, more than a hundred lives are lost on our roads and highways. Just this week, an Insurance Institute for Highway Safety analysis of crash data shows that more people die in motor vehicle crashes on Independence Day than any other day of the year. In all 50 states and D.C., it’s illegal to drive with a blood alcohol content (BAC) of .08 or higher. Yet, over the July 4th period in 2014, 164 people were killed in crashes involving at least one driver or motorcycle operator with a BAC of .08 or higher. And every one of these crashes was preventable. This year, the July 4th weekend extends from Friday, July 1, through Tuesday, July 5. We all have a responsibility to ensure that this Independence Day weekend isn’t the deadliest on record. A variety of factors can influence the relationship between the consumption of alcohol and the resulting BAC level, such as a person’s gender and weight, the concentration of alcohol in the drink, and the rate at which one drinks. We know that alcohol slows down the central nervous system and affects a person’s cognitive performance, mood, and behavior. In general, however, alcohol’s effects are dose-dependent, meaning that alcohol’s impact changes or becomes more severe as more alcohol is consumed. Impairment begins long before a person’s BAC reaches .08. In fact, it begins with the first drink. 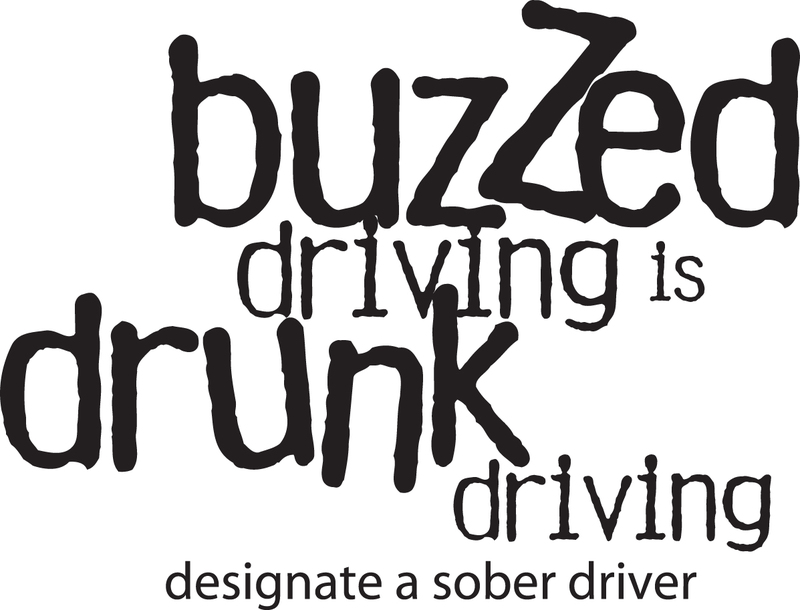 By the time a person reaches a BAC of .08, their risk of being in a crash is double that of a sober driver’s. At that BAC level, the drinker is likely drowsy and their vision, perception, and ability to react are all impaired. In the U.S., more than 10,000 people lose their lives every year because a driver experiencing such impairment decided to get behind the wheel. There is no excuse for making the decision to drive impaired by alcohol. This July 4th weekend, if your celebration includes alcohol, designate an unimpaired driver before you even take the first sip. If no unimpaired drivers are available, call a taxi or another for-hire vehicle. If you see someone about to drive or ride impaired, speak up, step in and take their keys. There are safe alternatives to driving while impaired, and we should all work to prevent impaired drivers from putting their life or the life of someone else at risk. The NTSB supports the efforts of NHTSA, law enforcement, and community leaders across the country to spread the message that Buzzed Driving is Drunk Driving this Independence Day weekend. Dr. Molloy is Director of the NTSB Office of Highway Safety. The “100 Deadliest Days.” In the transportation safety world, this how we refer to the summer days for teens ages 16-19 in the U.S. As the father of a daughter who just moved out of that age group, we have to do more to change that reality. What makes driving during this time of year so deadly for teens? The time teens spend driving increases significantly during the summer months. A recent AAA study found that over the past five years, during the “100 Deadliest Days,” an average of 1,022 people died each year in crashes involving teen drivers. Teen drivers lack driving experience. Help them gain experience by taking them out for a drive in the rain, snow and on sunny days. Allow them to experience driving in heavy traffic conditions, merging and making left turns. 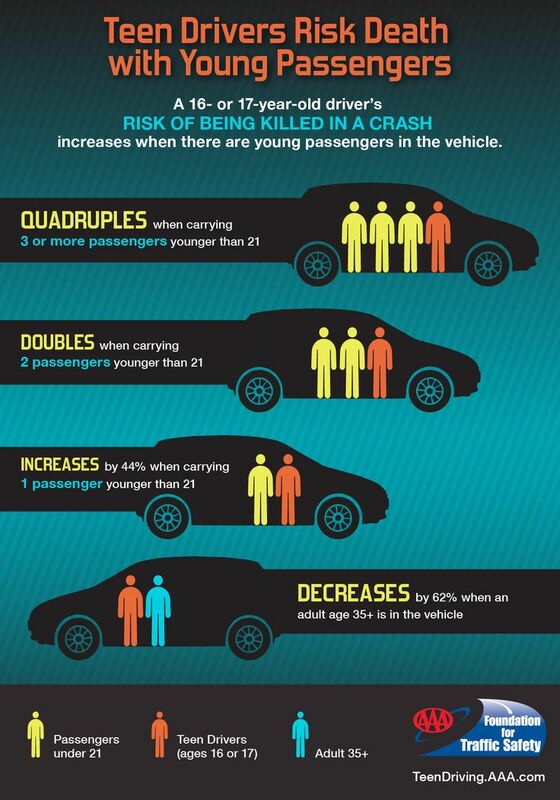 Passengers significantly increase a teen driver’s risk of being in a crash. And, many states don’t restrict the passengers teen drivers are allowed to have in their car. Teen drivers should not carry passengers under age 21 – not their friends, and not their siblings or other young family members. An average of 10 people die every day from a crash involving a teen driver during these 100 Deadliest Days. Motor vehicle crashes are the leading cause of death for our teens — not drugs, not suicide, but motor vehicle crashes. We have to do more to change this reality. As parents, we have the responsibility to teach our children safe driving behaviors. We need to talk to them about engaging in activities while they are driving that can distract them from the driving task – talking on a cell phone, texting, changing the radio, or trying to use GPS. We need to protect them from injuring themselves and others by not allowing them to carry any passengers. And most importantly, we need to demonstrate safe driving habits ourselves. Parents–your children are watching you! Don’t give good advice but set bad examples. Robert L. Sumwalt is an NTSB Board Member. They are most often the first ones on the scene. They see first-hand the tragic consequences of impaired, distracted, or drowsy driving—and the unfortunate results of crashes to unbelted occupants. And, they often deliver the news to families that their loved one was killed in a crash—all while knowing that the crash was probably preventable! Last month, NTSB Safety Advocacy Chief Nicholas Worrell had the honor of meeting with some of the outstanding men and women of the Palm Beach (Florida) Police Department. The NTSB and law enforcement share the common goal of preventing fatalities and injuries on our roadways. Law enforcement is on the front lines of America’s traffic safety efforts. In the US, car crashes take the lives of more than 32,000 people each year. Operating a vehicle requires attention and skill. Without a doubt, bad behaviors—impaired, distracted, and fatigued-driving—should be avoided. If bad behaviors lead to a crash, the appropriate punishments should be levied. But, ideally, we must all work together to prevent this from occurring in the first place. Every day, the law enforcement community does just that. NTSB Senior Highway Investigator Robert Accetta met recently with law enforcement officers in New Mexico. His discussions centered on impaired driving, including the increasing use of impairing synthetic drugs, and what we have seen from our crash investigations. He advised the group that the NTSB recommended stiffer penalties for those caught driving impaired by alcohol, including mandatory use of interlocks for all convicted offenders, and lowering the legal BAC limit from 0.08 to 0.05. He also added that the NTSB is still learning about the effects of other drugs, particularly over-the-counter and prescription drugs, on the driving task. The increasing use of a variety of potentially impairing drugs makes combatting this problem particularly challenging. Our common goal to prevent crashes became especially evident when Montgomery County (Maryland) police officer Noah Leotta was killed by a drunk driver while conducting a sobriety checkpoint. The death of Officer Leotta spurred the Maryland legislature to pass Noah’s Law, which requires the installation of ignition interlock devices on cars for drivers convicted of driving under the influence. Annually, since 1990, the NTSB has issued its Most Wanted List of transportation safety improvements. Our 2016 Most Wanted List includes issues that are aimed at preventing crashes on our nation’s roadways caused by alcohol and drug impairment, distraction, fatigue, and lack of adequate occupant protection. Both drivers and passengers play a role in preventing crashes—and both the NTSB and law enforcement will never cease to spread that message. Drivers should practice distraction-free driving and be solely focused on the driving task. And passengers should support safe driving by not distracting drivers from the driving task. Both drivers and passengers should always wear their seat belts—no matter where they are seated. This simple safety measure saves more than 12,000 lives per year. Finally, to repeat an old but important mantra, drivers should not drink and drive, and passengers should not drive with those who have been drinking. In fact, the NTSB recommends penalties for drinking and driving, beginning at a .05 BAC, which we know can result in meaningful reductions in crashes, injuries, and fatalities. 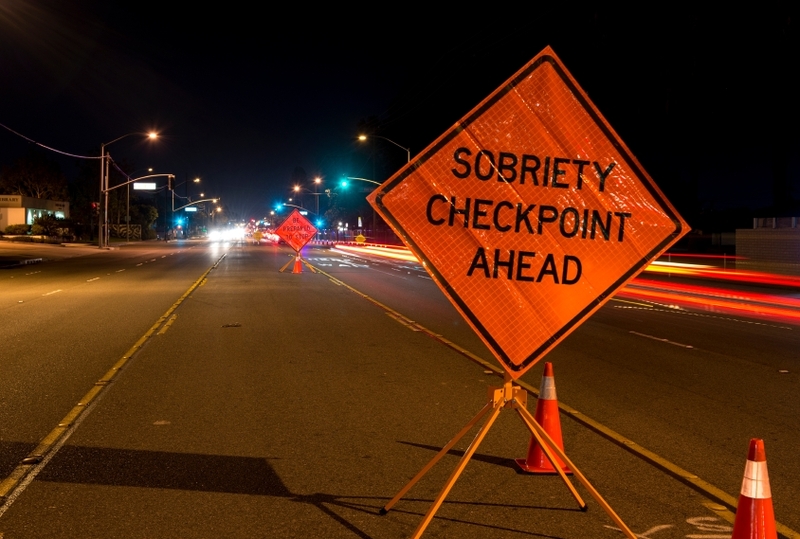 Every day, in communities across the country, law enforcement officers are working to end substance impairment, to make sure that drivers disconnect from deadly distractions, and to ensure that everyone is buckled up. Working together to improve traffic safety, the NTSB and law enforcement will continue to make a difference. But we need your help. Be aware of your responsibility as a driver and passenger—and stay alive. There’s an old saying, “everybody talks about the weather, but nobody does anything about it.” Well, this week, the NTSB intends to do something about it. Tomorrow and Wednesday, June 21 and 22, NTSB will have a forum on pilot weather reports (PIREPs). Why is this topic important? We became interested in PIREPs by accident – several of them, in fact. As our accident investigators will discuss in the forum, after several years of weather encounter-related accident and incident investigations, we found that there were too many instances where weather information had been observed but had not made it into the cockpits of those who needed it most. One such event occurred in March 2012, in Anchorage, Alaska. 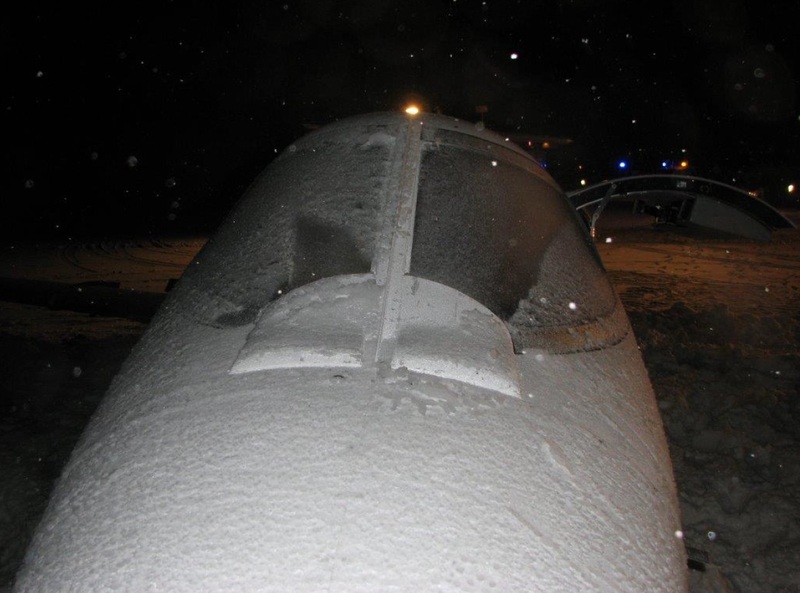 A Learjet 35A encountered severe in-flight icing conditions that exceeded the capabilities of the airplane’s windscreen anti-ice systems, and the airplane’s windscreen abruptly iced over. As a result, the flight crew lost all forward visibility, and the airplane veered off the runway during landing and came to rest in a snow bank. The NTSB found that the severe icing conditions had been conveyed about 15 minutes before the Learjet encountered them. A pilot in an F-16 conducting an approach to an Air Force Base about 7 miles northeast reported “severe icing on final” and initiated a go-around to “wait until his windshield…cleared.” The controller handling the F-16 shared this information with the controller who later handled the Learjet; however, the controller handling the Learjet did not relay the urgent PIREP to the Learjet flight crew. In this case, the NTSB determined that the approach controller’s failure to relay the PIREP was a contributing factor to the incident. The problem doesn’t lie solely with ATC not disseminating weather information. As a former airline pilot and line check airman, I know that sometimes pilots do not relay weather information to ATC. And, when they do, the information is prone to inaccuracies, especially regarding time, location, and weather intensity. To their credit, many people have been trying for years to get the PIREP system to work better, and many of them will be participating in the forum. That’s precisely why we wanted to have this event – to bring together key players with knowledge of the PIREP system to begin a conversation about improving it. And we hope that this conversation continues, planting the seed for collaborative action. The forum will be open to the public and will also be webcast. We hope you can join us, either in person or online. In 1977, I took my first flying lesson in a Cessna 150 parked on the flight line at Long Island MacArthur Airport. If you head out to a flight line today, you’ll see that many of the general aviation airplanes have changed little since then. The FAA’s recent Notice of Proposed Rulemaking for Part 23, Revision of Airworthiness Standards for Normal, Utility, Acrobatic, and Commuter Category Airplanes, proposes significant changes in the design of new general aviation aircraft and the introduction of new technologies to modernize the general aviation fleet. Through our accident investigations, the NTSB has learned many safety lessons over the years. The comments we submitted on the proposed rulemaking highlight areas in which safety improvements recommended by the NTSB can help further enhance the streamlining of Part 23. We are optimistic that the proposed process will address many of our outstanding safety recommendations. I have seen technology advancements that are far beyond what can be found in the cockpit of many general aviation aircraft, and the NPRM proposes to make the introduction and certification of new safety technologies quicker and less burdensome for manufacturers. For example, with Inflight Loss of Control in General Aviation on the NTSB’s Most Wanted List, we understand the advantages that angle of attack indicators can bring to preventing loss of control accidents, and we support their incorporation into general aviation cockpits. The FAA indicates that the proposed rule will dramatically reduce loss of control accidents, and we look forward to learning more about the ways the proposed rule can help meet this goal. We see great potential for the proposed rule to allow manufacturers to more rapidly introduce safety improvements into the fleet, as compared against the current pace associated with the FAA approval processes. By streamlining these processes, the proposed rule will help change the introduction of innovative new safety technologies from something that is nearly impossible to something that is encouraged and sought after. The potential safety advancements made available through the adoption of the NPRM are exciting to consider. We look forward to the next steps that the FAA will take; steps that we believe will help save lives. John DeLisi is Director of the NTSB Office of Aviation Safety. NTSB’s Nicholas Worrell (bottom row, far left) with IRF Caribbean Regional Congress attendees. Recently, I had the opportunity to address the International Road Federation Caribbean Regional Congress (IRF). I was born in Barbados and became a U.S. citizen by choice, and it has been a pleasure to return to the region to share road safety messages and to learn what is being accomplished there to improve road safety. My opening remarks before members of the regional congress invoked the Greek philosopher Socrates, who called himself “the gadfly of Athens” because he challenged the status quo. In many ways, the NTSB is a gadfly of transportation safety. The NTSB, an independent agency, has no regulatory power of its own; however, we have the broad latitude to investigate accidents and to issue recommendations to all sorts of potential change makers, even to other government agencies. We advocate for and urge change through the results of our accident investigations; we have seen firsthand the impact of poor transportation safety decisions, and this gives us a unique and respected voice. The NTSB’s ability to improve U.S. transportation safety relies extensively on the quality of our reports and recommendations. These are based on exhaustive safety investigations that can take a year or longer, and which ultimately result in a report with recommendations. In every accident, our investigators take into account the human operator, the machine, and the environment. Our Chairman often says that it is a testament to the work of our amazing investigative staff that more than 80 percent of our recommendations see favorable action. As I told the IRF, we will continue to play the gadfly to the states, advocating for graduated driver’s licensing, so our children have time to learn and practice their knowledge before they are exposed to hazards like additional teens in the car or nighttime driving. We’ll continue to play the gadfly about removing portable electronic devices from the driver’s seat. We’ll continue to play the gadfly about separating drinking from driving and the fact that a driver is impaired before reaching a blood alcohol level of 0.08. Why? Because our investigations often lead to findings that challenge the conventional thinking regarding transportation safety. And sometimes a new approach is what is needed to save lives and prevent injuries. 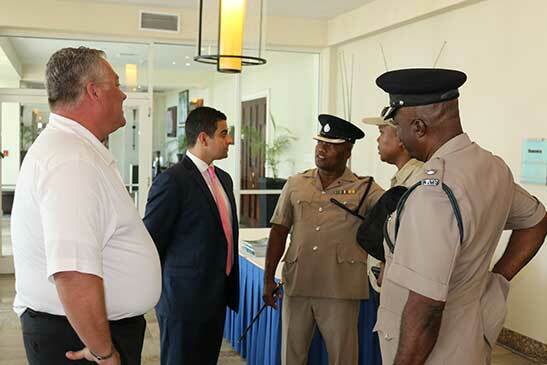 Esteban Salinas, IRF Director, Latin America & Caribbean, with members of Jamaica law enforcement. We also want to nurture and create other gadflies, safety advocates, and ambassadors for safety in their own region. And that’s part of the purpose for attending a conference like this. We recognize that each country is different, with its own unique legal and administrative challenges. But one common goal we share is to work harder to save lives and reduce crashes and injuries on our roadways. We hope that, by working together, our safety messages will trickle down to the pedestrian in the street and the taxi and bus drivers who take the thousands of tourists to their destinations. We hope these messages reach the bicycle and motorcycle riders who do not feel the need to wear a helmet or the everyday driver who feels it’s okay to drive distracted or impaired. Developing advocacy leaders is a constant daily process – as is advocating for transportation safety improvements, especially when these changes require changes in behavior. Creating effective advocates requires effective research, outreach, and engagement with groups such as the IRF Caribbean Congress. The NTSB hopes it can empower others to act. Attendees at the IRF Caribbean Congress included transport ministers and their staff. They know, just as we do in the U.S., that a life lost or a life-long injury endured as a result of a transportation accident also has economic costs that go far beyond that person’s family. These events dramatically impact healthcare and education costs, some of which the state will never recover. As a gadfly of transportation safety, it is our job to pester elected officials, industry, and other stakeholders to help save lives and prevent injuries. Napoleon Hill said that “without persistence, you will be defeated even before you start, but with persistence you will win.” And the IRF delegates back at their jobs as road safety advocates are highly motivated and persistent – so we will win and they will win. In October 2015, the NTSB released a passenger vehicle tire safety special investigation report and Safety Alert for consumers on crash risks associated with improper tire care. As part of National Tire Safety Week, we’d like to take a look at how industry and government are working to address tire safety since we released those reports. In 2015, we reported that a total of 539 people died in tire-related crashes in passenger vehicles in 2013. The most recent data available now show that, in 2014, 596 people died in tire-related crashes—an increase of 57 deaths. 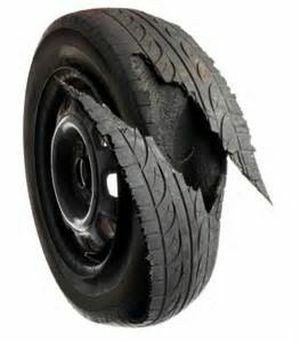 And, each year, about 33,000 passenger vehicle tire-related crashes occur, resulting in about 19,000 injuries. Recently, in Jupiter Florida, a tire tread separation – where the tread of the tire separated itself from the casing or body of the tire – caused a driver of a minivan to lose control, hit a wall, and then spin into the path of another vehicle. As a result, six of the minivan occupants died and two were injured. The NTSB believes that a majority of tire-related crashes are preventable and much more can be done to prevent tire-failure-related crashes, such as this one. Many in the tire industry recognize the importance of reducing tire-related crashes and are working to remedy some of the issues identified by the NTSB in its passenger vehicle tire safety report. For example, we urged the American Automobile Association and the Rubber Manufacturers Association (RMA) to work together to evaluate the effectiveness of current tire safety efforts in influencing consumer tire purchase and maintenance behaviors. Since then, the two groups have agreed to collaborate on a publication that includes best practices and strategies for other stakeholders also working to increase awareness about the importance of routine tire observation and maintenance. Additionally, the RMA will continue to provide resources on this topic as part of its Be Tire Smart –Play Your Part program. We also asked 10 tire manufacturers to put tire safety recall information on their websites in a format that is searchable by tire identification number (TIN) as well as by brand and model. In response, the RMA reported that it is working with its members to develop a user-friendly lookup tool containing the TIN information for all recalls in the United States for the past 15 years. Individual tire manufacturers have also increased their advocacy in this area. In 2015, Michelin launched Beyond the Driving Test to improve teen driving safety through better education about the importance of maintaining tires. Michelin’s goal is for all 50 states to include comprehensive tire safety information in their driver’s education curricula by the year 2020. The National Highway Traffic Safety Administration recently replied to our recommendations on some very specific ways it can help to improve tire safety (see our special investigation report for a complete list of recommendations); their response is still under review. Nevertheless, we are pleased that NHTSA continues to be an advocate for safety in this arena through its Tire Wise site, which provides critical safety information related to proper care and maintenance of tires. As a result of the FAST Act becoming law in December 2015, some of our most critical recommendations to improve tire safety will likely be addressed. The Tire Efficiency, Safety and Registration Act requires independent tire dealers to electronically submit tire registration data and maintain a system of records for tires sold and leased. It also requires DOT to establish a publicly available and searchable electronic database of tire recall information that is searchable by the TIN. But unless the DOT requires tire manufacturers to include the complete TIN on both the inboard and outboard sidewalls of a tire, then tire purchasers may mistakenly enter their partial TIN in the searchable database instead of their full TIN, thus making the database less effective. The NTSB’s 2015 special investigation report focused on passenger vehicle tires, but commercial vehicle tire safety is also an area of concern. Commercial vehicles include heavy trucks and motorcoaches, which carry heavy loads (cargo and passengers) and require specialty tires that must meet rigorous tire specifications. One example of an accident investigated by NTSB involving a commercial vehicle showed how a lack of proper tire care can lead to deadly consequences. 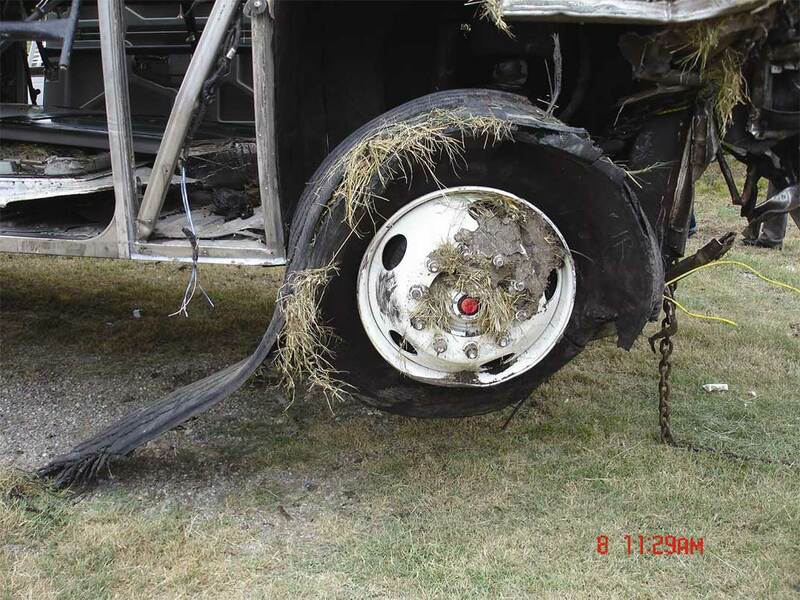 On August 8, 2008, a motorcoach was traveling northbound on a highway in Sherman, Texas, when its right steer axle tire failed. The blowout caused the motorcoach to depart the roadway, override a concrete curb, and strike a metal bridge railing. The motorcoach ultimately went through the railing and fell off the bridge. As a result of the accident, 17 motorcoach passengers died, and 39 people received minor-to-serious injuries. The NTSB found that the driver lost control of the vehicle after the sidewall, belting, and body ply separated within the tire due to being at low pressure for an extended period. According to the Federal Motor Carrier Safety Administration’s latest Large Truck and Bus Crash Facts 2014, vehicle-related factors contribute to about 6 percent of fatal crashes involving large trucks. “Tires” was the most common vehicle-related factor in these crashes. Particularly concerning is that the number of tire-related out-of-service violations for commercial vehicles have increased over the past three years, according to the Commercial Vehicle Safety Alliance. In 2015, 13.9 percent of vehicle-related out-of-service violations were for tires/wheels, making it the fourth most cited area. The most common issues cited for tires were flats and audible air leaks. To prevent crashes caused by tire-related issues, the CVSA has placed special emphasis on tire safety at this year’s International Roadcheck, which is to take place June 7-9. International Roadcheck is a 72-hour period when inspectors in jurisdictions across North America perform large truck and bus safety inspections. Inspectors will more closely check tires – for example, measuring the tire tread depth, checking the tire pressure, checking to make sure no items are lodged between dual tires, and examining the overall condition of the tire to make sure no deep cuts or bulges exist in the sidewalls of the tire. As we approach summer and make plans for family vacations or plan that long-haul trip to deliver important goods to customers, take a moment to ask: are my tires properly inflated, are they the proper tread depth, and are they used or worn? To ask anything less is a crash waiting to happen. To learn more about tire safety, read the NTSB’s safety alert on tires, visit NHTSA’s tire safety website or visit the RMA’s tire safety website. Dr. Marshall is a Human Factors investigator in the Office of Highway Safety. He was the lead author of the tire special investigative report.